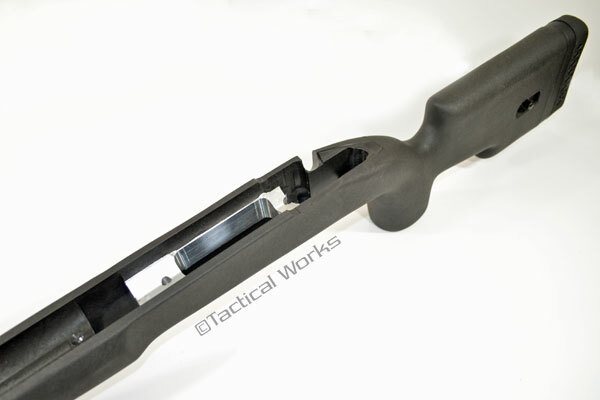 Savage SA "Center Feed" Tactical Stock by Choate :: Savage Stocks :: Savage :: Tactical Works, Inc.
Choate's Tactical stock has a CNC machined aluminum bedding block molded into the stock for a solid mount. 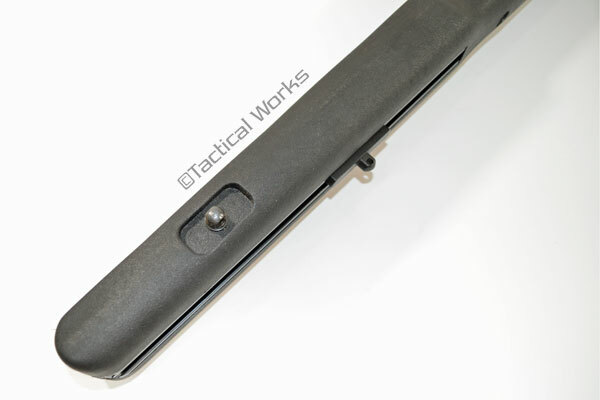 This stock has sling swivel studs on both sides and a 10.5 inch long slot for Harris bipod adapter under the forend. 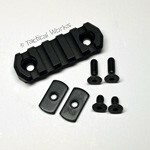 Bipod adapter is included. 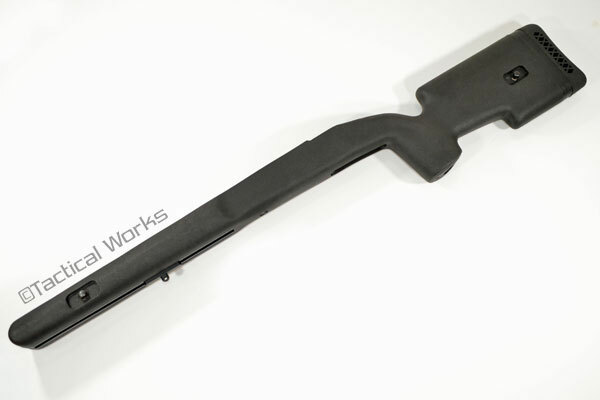 This stock is for Center Feed Short Action Savage Blind Magazine rifles with a Action Bolt spacing of 4.411" Please measure the spacing for your action bolts before ordering. 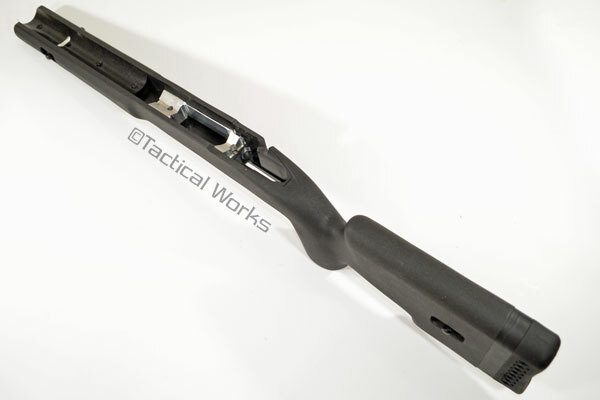 If you have a factory detachable magazine system, you need the Choate 25-06-01 stock. 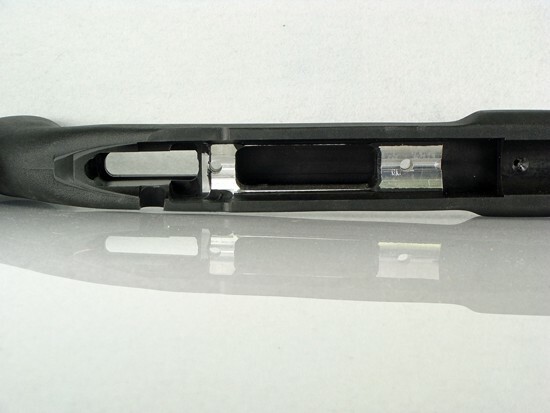 There will be an 3/16 gap under the safety on all the Choate Savage Varmint, Tactical and Sniper stocks. 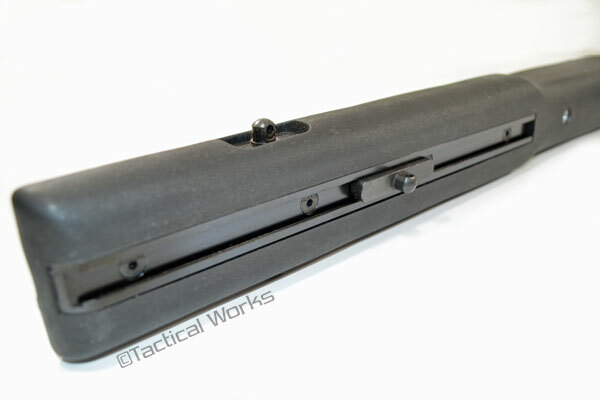 The action should only touch on the V of the bedding block and back of the recoil lug. The gap at the back is normal for Savage actions when installed in Choate stocks. 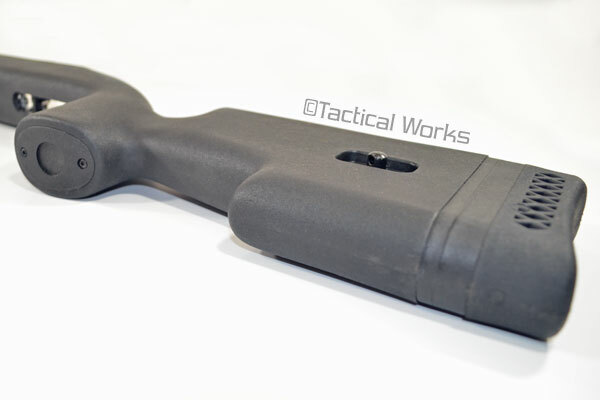 Advantages: Solid, and heavy will be perfect for bench shooting. 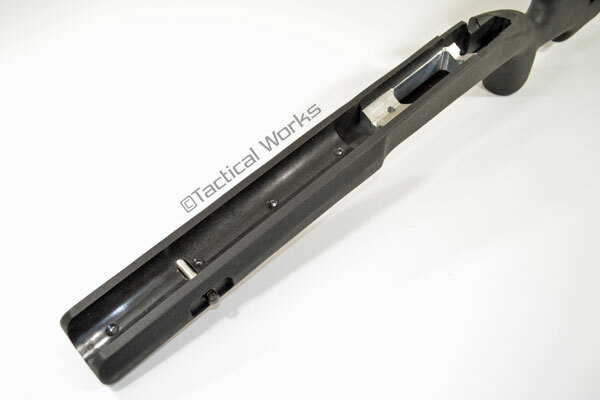 I got the standard cheek riser, looks like sight alignment will be just right. Disadvantages: Replacing a stock you expect some trimming for fit, and the Choate was no exception. I had to Dremel for the trigger guard and the bolt release lever. I was disappointed with the fit of the blind mag, very loose. I folder up some cardboard to move the mag rearward so it and the L bracket would stay in place for assembly. This shouldn't be an issue, I single load and only use the mag as a sled. 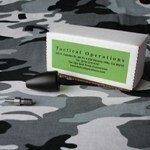 I purchased this product due to the height of my scope was using a higher MOA ring and base. It came with easy to understand installation instructions in the package, upon ordering Tactical Works sent a link with instructions as well. 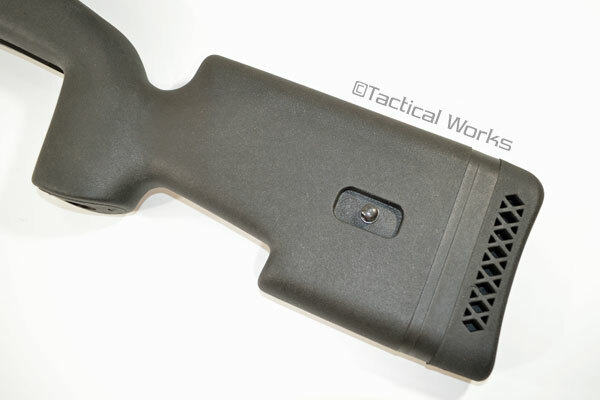 The installation is simple and the product is well made with thick kydex. I highly recommend the Karsten's Custom Cheek Rest! !